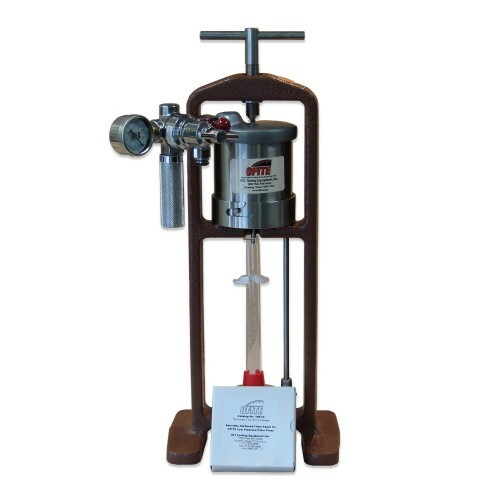 The OFITE Low Pressure Filter Press provides a quick, easy way to evaluate the filtration properties of a drilling fluid. This instrument consists of a pressure cell, frame, pressure source, filter medium, and a graduated cylinder. It conforms to API specifications, and is suitable for both field and lab use.